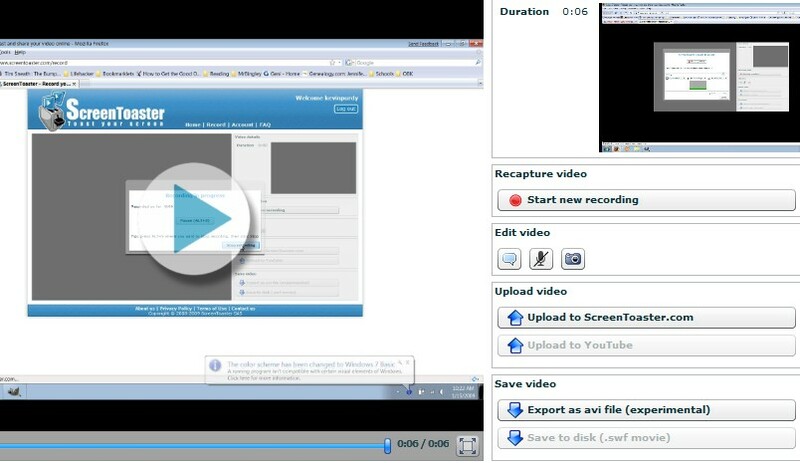 ScreenToaster, fresh out of restricted beta, is a web-based screencasting tool that can record your desktop from any computer with a browser and Java. It's great for quick demonstrations, and for beginners. Looks like direct YouTube uploading and SWF downloading are coming down the pike, but it'd be nice to get better embedding options, a la Screencast-O-Matic, and QuickTime-format downloads. 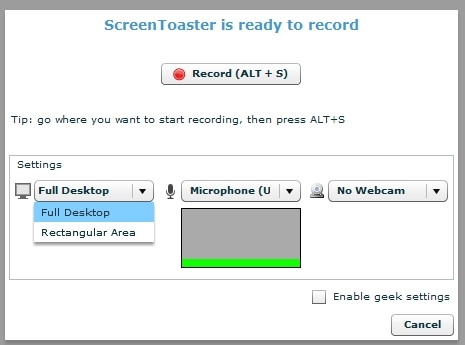 Still, for quick-hit screencasts or those who don't like to bog down with software, ScreenToaster is a nice option. It's free, requires a Java runtime package to run.